※預計何時進入澳洲 在二簽申請裡面 無論你人在澳洲境內或境外 請往後填任一日期即可 無需為真正日期. 步驟21. 若需要下載或列印簽證申請存底 請從步驟18的頁面點選上方 "View application"
(You and your employer can agree that you will work for a ‘piece rate of pay’. 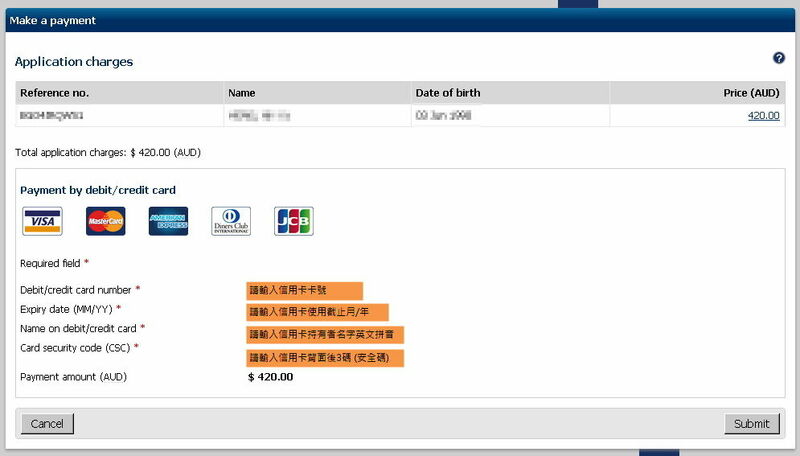 我已夾帶passport photo, payslip(我用payment summary 代替可以嗎？), Form1263. 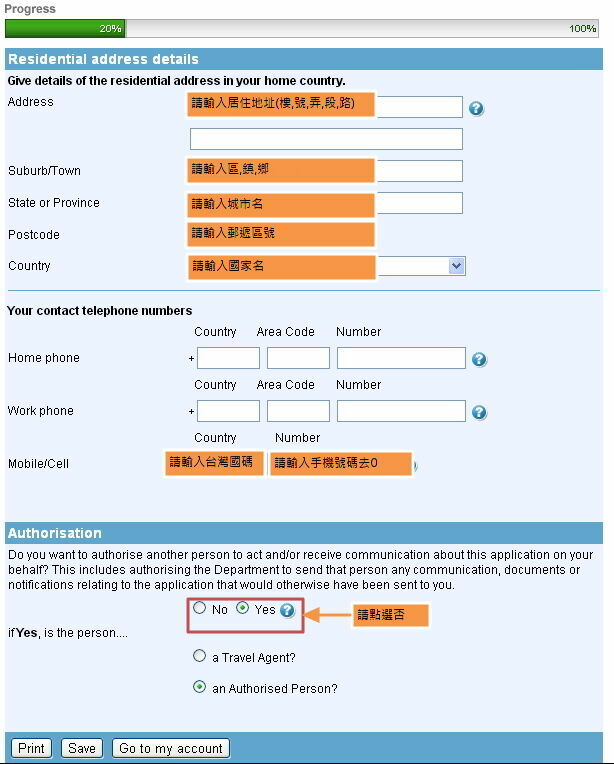 請問昨天申請二簽 status 出現 ready to submit 是甚麼意思呢? 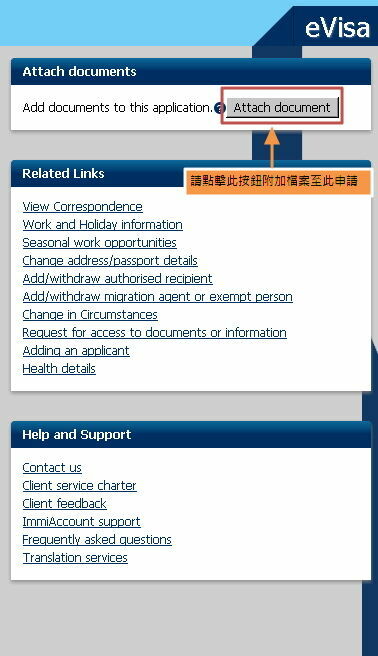 有顯示: this applicant is not required to provide any evidence at this stage on the information provided whithin the application. 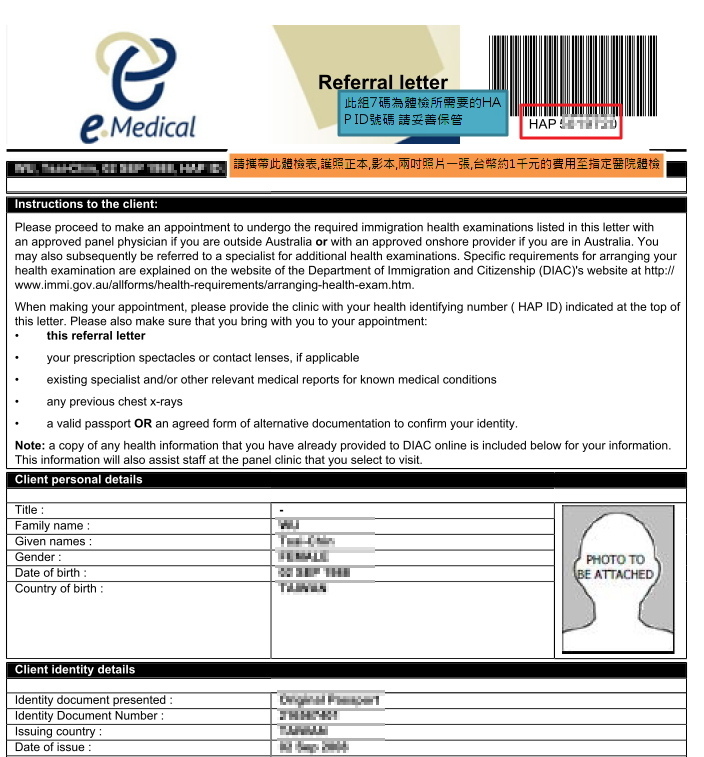 All health examinations required for the specified visa subclass have been finalised. Processing of this person's visa application can now continue. This will not occur until a case officer investigates the case in line with published processing times for the visa that has been applied for. Do not contact the department about health examinations in the meantime. resolve your immigration status with the CSRS. Phone 1300 853 773 or see more information online. A panel clinic is currently processing this person's health examination(s) in eMedical. This screen will be updated once this person's case has been submitted to the department for processing. This may not occur until all results are finalised after the person has left the clinic. Ongoing delays should be followed up with the clinic in relation to the progress of your health examination results. Do not contact the department about this matter. 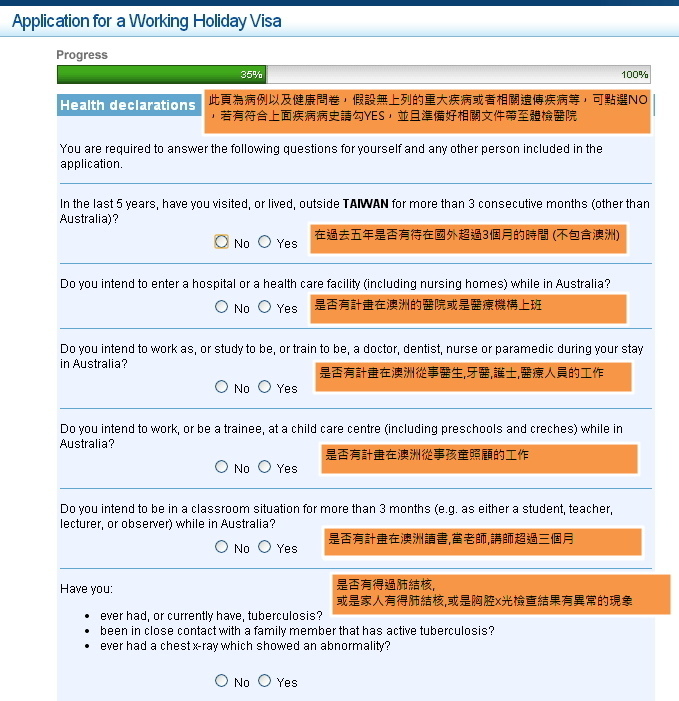 3. evidence to support your claims that you have worked at least 3 months full-time and have been remunerated in accordance with relevant Australian legislation and awards by your nominated employer, for the periods of employment you have listed on your application form. 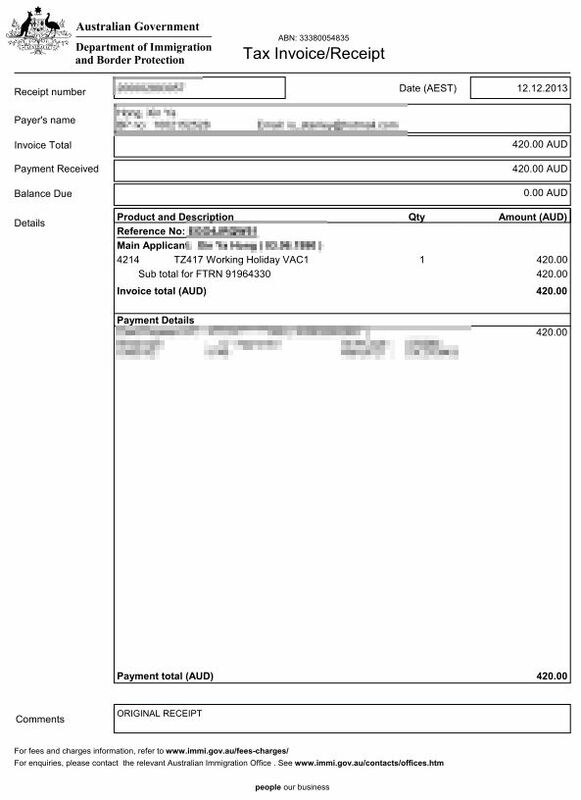 Australian bank statement covering the period of declared specified work. 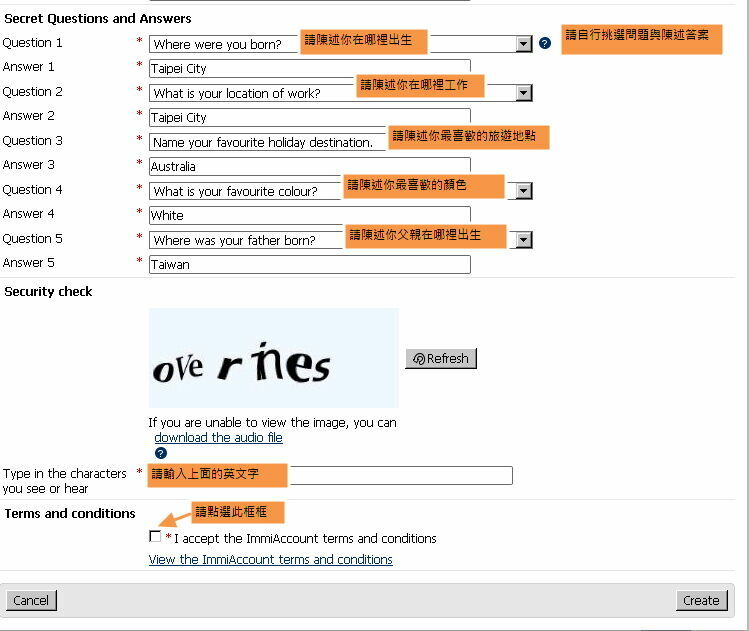 You do not have a current Australian visa. 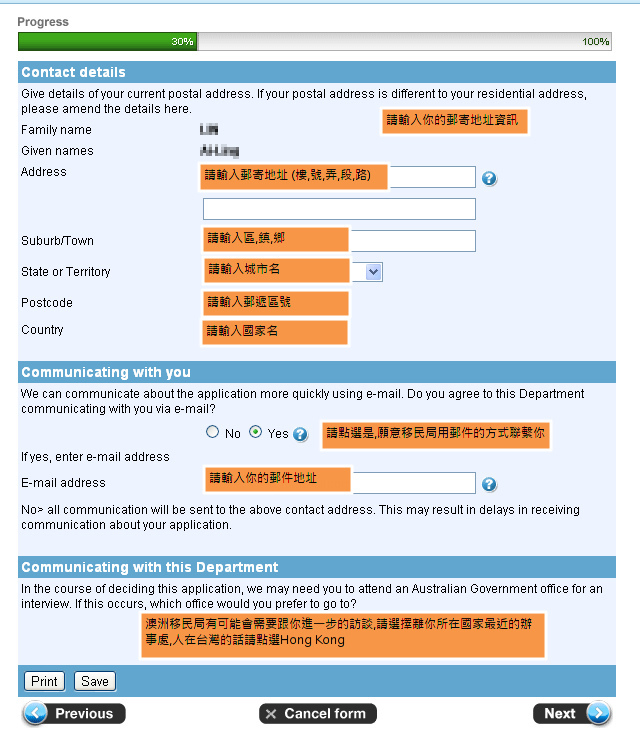 If you are in Australia, you must contact the department's Community Status Resolution Service (CSRS) in your nearest capital city as soon as possible to discuss available visa or departure options. Generally you can be granted a bridging visa while you resolve your immigration status with the CSRS. Phone 1300 853 773 or see more information online. 你好,我申請澳洲打工渡假境外二簽,我人在台灣也做了體檢,但是我上網查詢簽證進度卻顯示這個You do not have a current Australian visa. If you are in Australia, you must hold a valid visa for the duration of your stay and comply with conditions attached to your visa. 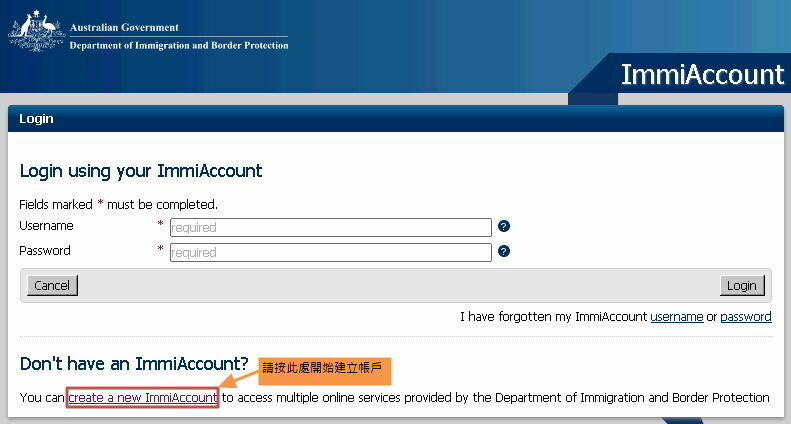 If you dont have the right to remain in Australia, you are expected to depart. 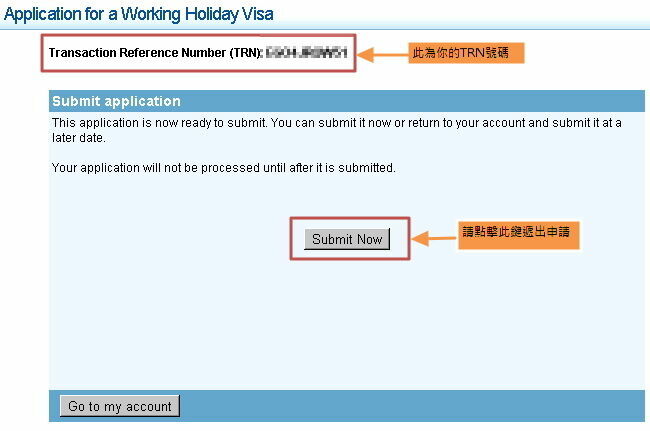 To extend your stay in Australia you need to apply for a Bridging visa E (BVE). In most cases, you can resolve your visa matter quickly and easily through the My visa is about to expire or has expired webpage. 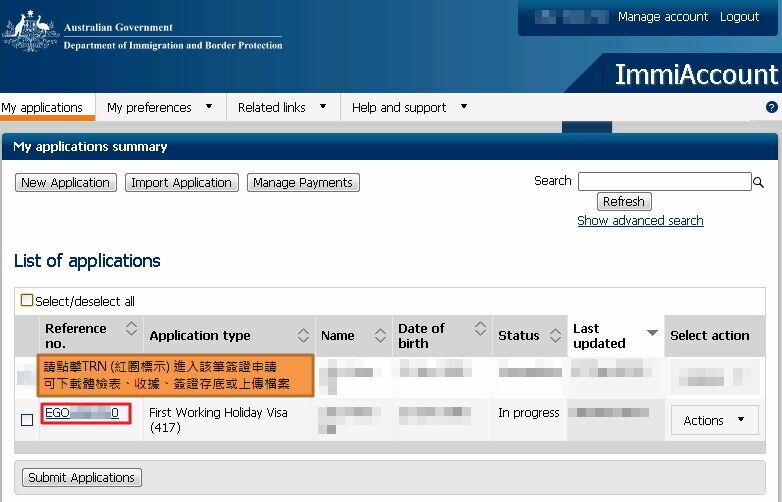 You do not have a current Australian visa. If you are in Australia, you must hold a valid visa for the duration of your stay and comply with conditions attached to your visa. If you dont have the right to remain in Australia, you are expected to depart. To extend your stay in Australia you need to apply for a Bridging visa E (BVE). In most cases, you can resolve your visa matter quickly and easily through the My visa is about to expire or has expired webpage. 請問境內申請付費完成後,想上傳附件資料時找不到按鈕,只顯示"This applicant is not required to provide any evidence at this stage based on the information provided within the application. However, the department may request further information from this applicant at a later date. " 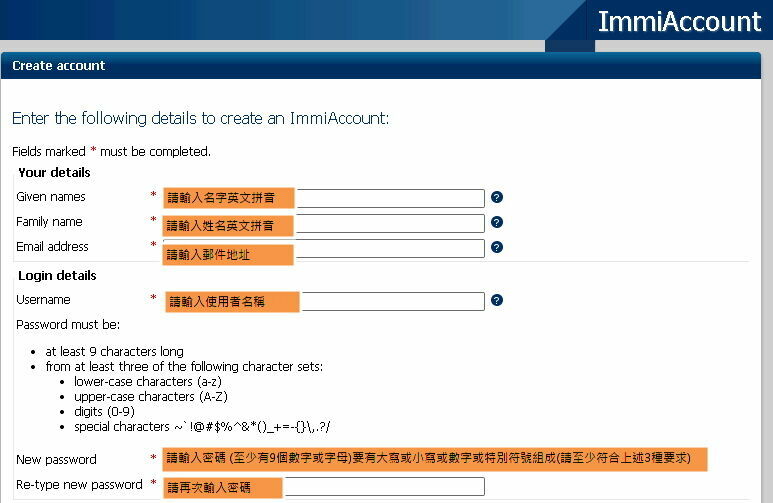 You can use your application ID in ImmiAccount to search and view your application before it has been decided. notification of changes in circumstances notification of incorrect answer(s). 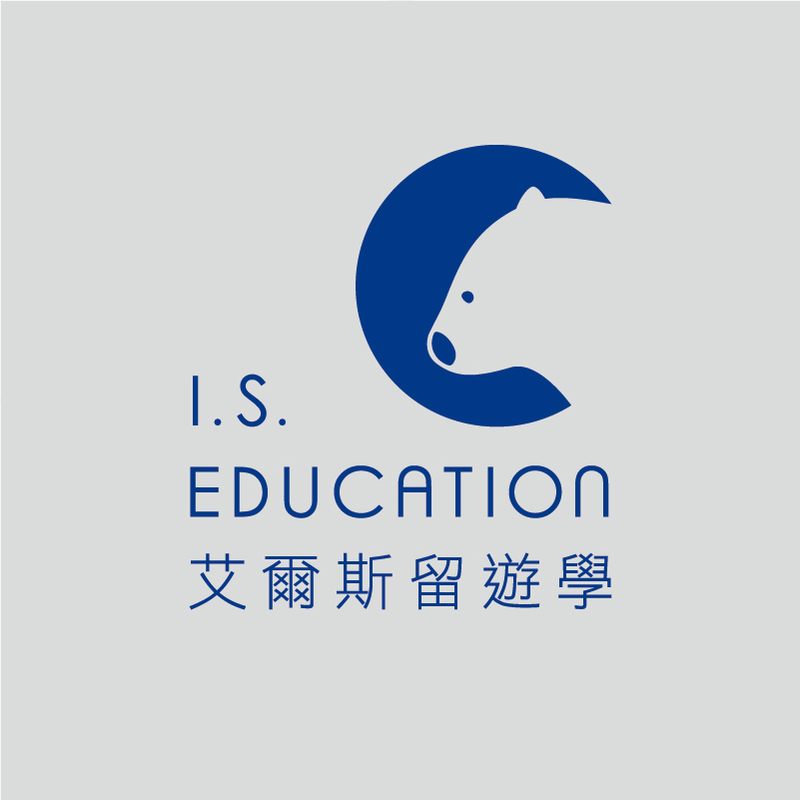 了解 感謝~ 另外請教Deduction agreements 的 Deduction TAX算嗎?